Do you hate hard, exhausting work but want a well-maintained yard? Don't have the time to do the work needed to keep your garden or your business property tidy? Then why not take advantage of our friendly and professional garden and property maintenance services. We'll do all the necessary hard work so you don't need to get your hands dirty. So whether you need your lawn mowed, that pile of rubbish removed, do you need someone to do tree removal / tree trimming, high pressure cleaning or just need your garden situation under control... give us a call for a FREE QUOTE. 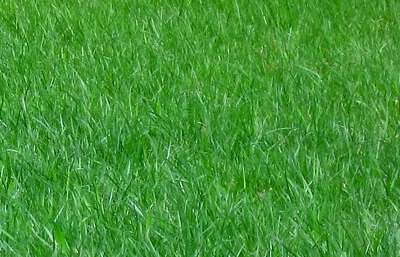 Turramurra Lawn Mowing always aims to provide a reasonable quote which is JUST for the work we do for YOU - no hidden costs. If you like many other people in the Turramurra area are experiencing dry patchy grass you may have Curl grub, We are able to treat this problem. If you wish you can feel free to call us on 1300 882 787, or email us. We have also noticed a lot of Azalea Lace Mites in the area. For information on this pest follow the link or for eradication of the Lace Mite problem please call us. In addition to a full complement of residential and commercial mowing and edging services, we provide lawn care options such as fertilizing, weed control, insect monitoring and core aeration. You may wish to have us set up a Composting system for you. A composting area on your property will help you provide nutrients for your garden and minimize your waste. We can provide you with a complete waste removal services. Whatever you need, Turramurra Lawn Mowing Services is your hassle free, all-in-one property maintenance service. Call us today on 1300 882 787 for a friendly, obligation-free quote. North Turramurra is a suburb on the Upper North Shore of Sydney, in the state of New South Wales, Australia. Turramurra is located 20 kilometres north-west of the Sydney central business district, in the local government area of Ku-ring-gai Council. Turramurra and South Turramurra are separate suburbs. Turramurra is an Aboriginal word meaning big hill. Early settlers referred to the area as Eastern Road until the name Turramurra was adopted when the railway station was built in 1890. Eastern Road was an area of orchards. Samuel King, born in 1828 in County Donegal Ireland, arrived in Sydney in 1853. With his wife Ann, he established several orchards along Bobbin Head Road and at North Turramurra and was a noted church and community supporter. Eccleston du Faur secured the name Turramurra. Du Faur was born in England in 1832 and was recognised in Sydney as a supporter of the arts and sciences. He was elected a Fellow of the Royal Geographic Society in 1875 and was an early bush conservationist. Most importantly, Du Faur secured the land for the Ku-ring-gai Chase National Park from the government of the day. The Chase was declared in 1894. Du Faur personally funded and made a road through the bushland to Bobbin Head. In 1895 he built a house on 25 acres (100,000 m2) at the Chase Gates. After his death in 1915, part of this property became Lady Davidson Home, a convalescent hospital, later Lady Davidson Hospital. North Turramurra is home to the sphinx war memorial. This 1.5 m high replica of the Great Sphinx of Egypt was carved out of sandstone in the 1920s by a returned soldier, in memory of fallen comrades. The suburb is a popular starting point for many bush walkers as it has easy access to Bobbin Head, the upper reaches of Cowan Creek and St Ives Chase. North Turramurra is also the site of an official Bureau of Meteorology rainfall observation station.